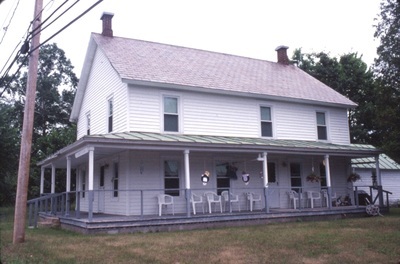 This contributing, c.l890, large, 2-story, wood frame residence features original slate roof, stone foundation, and integrity of overall massing. More recent changes include vinyl siding, and a 1-story porch with square columns and metal roof. A contributing, contemporaneous barn with clapboard siding and gable roof is also on the property.